Hoof Knife Sharpening Kit is what we suggest to those wanting to keep their hoof knife or other cutting tool sharp. 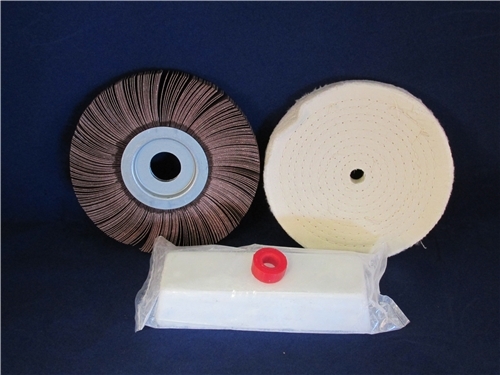 This kit will take you from moderate sharpening with the 180 Grit 6" Flap Wheel followed by use of the 6" Muslin Wheel dressed with White Buffing Compound. The kit comes complete in a Zip type plastic bag and includes a universal bushing to fit the arbor shaft on your grinder from 1/2" - 1" diameter. We highly recommend this to our customers to sharpen hoof knives and cutting tools.